Disturbed Grooves – Slice 4.1 for Kontakt 5.5+,over 200 re-mastered loops expertly crafted and created to be tweaked in Slice V4_1. If you use loops this is the next step for you. DnB – Slice 4.1 for Kontakt 5.5+, over 170+ re-mastered loops from our DnB Library expertly crafted and created to be tweaked in Slice V4. Dub Step – Slice 4.1 for Kontakt 5.5+, over 250 re-mastered loops from the dubStep genre expertly crafted and created to be tweaked in Slice V4. Slice 4.1 Red House for Kontakt 5.5+, a further collection of matched loops for the Slice loop engine, this time taking 4-on-the-floor House as its inspiration. Always a powerful loop manipulation tool Slice V4.1 is now adds an all new cleaner interface and is extended to include new settings and functions. Add to these the loop-swapping and pattern changing(loop-juggling)from Slice 2and 3, as well asre-triggering(restart) loops from any of the 32 slice pads whilst playing.Use the 4 independently settable sub-loops, load up to 12 different patterns for playback(and key-switch between them), load up to 12 different loops, from the hundreds shipping with the product (and key-switch these too). 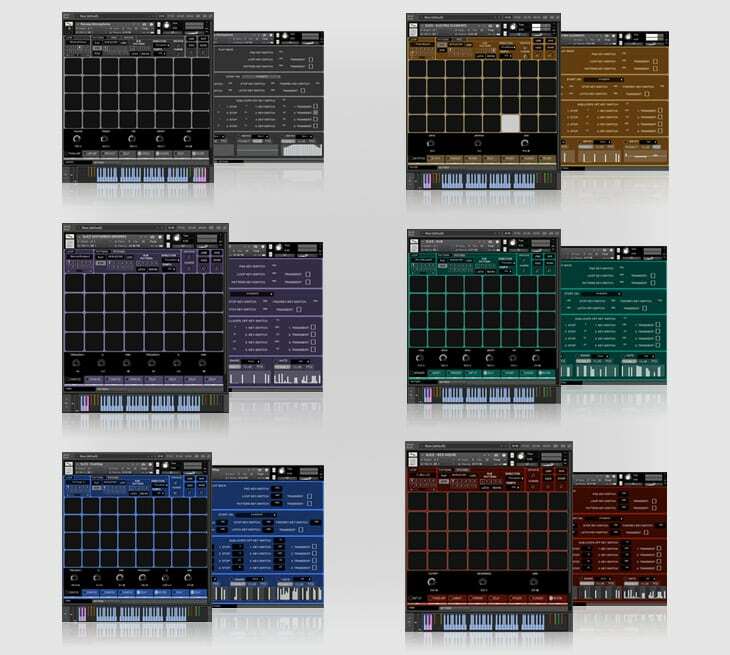 Included is the all new 3-track probability sequencer to add an additional three sounds into the mix. New patterns are also included that add randomisation and “triplet-feel” to playback. Nearly everything is CC-controllable or key-switched making Slice V3 the extraordinarily playable loop-manipulation and play-back tool. Just as important is the “direct-play” feature, allowing users to play each pad independently, so you can play Slice live, or record your performance and playback using your DAW. Each triggered pad plays its attached sound and its assigned controls. New in this version is “Pitched Mode” play. Here you can select any single pad and Slice will map this across 2 octaves for you to use the sound in as a chromatic instrument.